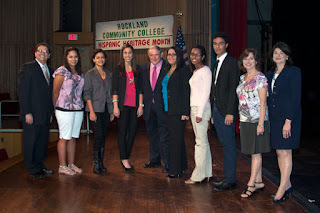 The United States Congress has declared the period of September 15 through October 18 Hispanic Heritage Month. 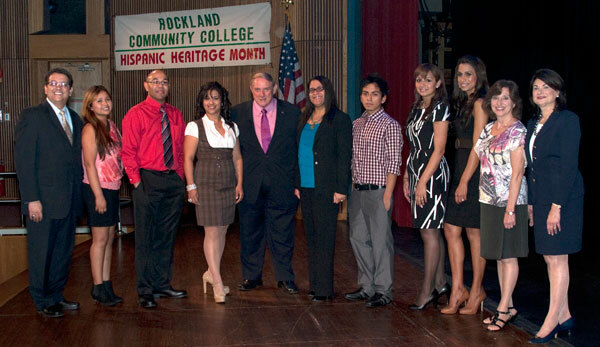 This commemoration is important to me because of the beauty of Hispanic culture and the countless contributions made by people of Hispanic heritage to America and the world. As a child growing up in Texas, I had limited world experiences. My family did very little traveling and I grew up in a very homogeneous community. I was, however, aware that in Dallas in the 50's there were three groups - the white majority, African Americans who did service work in our communities, and somewhere in far north Dallas a growing group of Hispanics, primarily immigrants from Mexico. I was thoroughly unaware of the latter two cultures that were so different from my 'WASP" neighborhood. When I was eleven, however, I had a wonderful experience. Our neighbors, the Smiths, who were surrogate grandparents, invited me to travel with them to Donna, Texas, over five hundred miles from my home but only a few miles from the Mexican border. Uncle Schmitty, as I called him, had a brother who owned a citrus farm there in the Rio Grande Valley. Thrilled with this opportunity to travel, I was even more elated when, on a Saturday during our visit, they took me across the border to Reynosa, Mexico. I was intrigued there by a very different and enticing culture, its sounds, smells and sights, which were unfamiliar to me. It did remind me, however, of the movies I enjoyed on Saturdays featuring Zorro or The Cisco Kid and his compadre Poncho. On Sunday, the Smith’s took me to South Padre Island on the beautiful blue Gulf of Mexico stretching its water to the great Atlantic Ocean. We had beautiful white sand beaches to ourselves, very different from today where the beaches are filled with “mucho turistos.” One of the few “international foods” which I had as a child was an occasional family outing to El Chico’s Mexican Restaurant. I became a lover of what is now called Tex-Mex, very different from the cuisine I had as an adult in Mexico City. 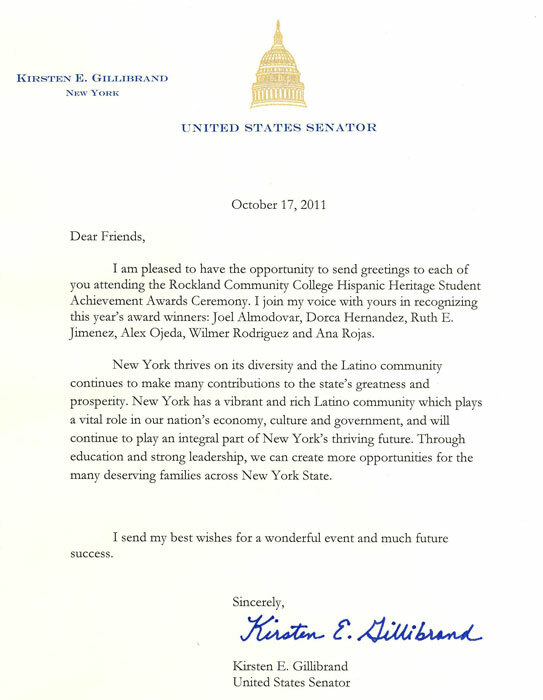 As I grew into adulthood and expanded my knowledge of the world of art and music, I became familiar with contributions of Hispanics in the arts. In recent years I have loved the music of pop artist Ricky Martin, "Livin' La Vida Loca." I also admire and frequently listen to the inspiring artists like cellist and composer, Pablo Casals. Further, in traveling to renowned art museums in Europe, I have learned that there are many wonderful Spanish artists including my personal favorites, Picasso and Miro. I became familiar with the great literature written in Spanish a number of years ago when reading a sabbatical report for a faculty member who taught Spanish and loved literature of speakers of the Spanish language. His sabbatical report inspired me to try to learn about the ten Nobel laureates in literature whose works were first published in Spanish. In reading about the Nobel laureates, I found a phrase from the presentation speech at the Swedish Academy when the 1999 Nobel Prize in Literature was given. Professor Kjellespmark said the following in his presentation, "When the Nobel Prize in Literature is awarded for the second time in succession to a writer from the Spanish-speaking world, it is a reminder of the exceptional literary vitality and richness of this sphere in our age." These works are certainly worthy of inclusion in the Academy. It is most appropriate that RCC celebrates Hispanic Heritage Month each year. 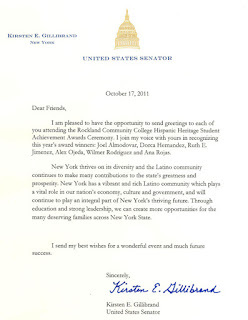 I thank the Hispanic Heritage Committees for helping us appreciate and celebrate the contributions of the very diverse group of people whose first language is Spanish. Cathlene Cruz, Co-Chair; Laurie Pina, Co-Chair; Nilda Aragones, Bethzabeth Berrios, Mara Lee Bierman, Eugenio Espinosa, Laura Fox, Vanessa Lago-Barros, Karen McGovern, Jessica Ricciardi, Maria Rivera, Zulma Santiago, Josephine Tarsia, Doreen Zarcone, Segundo Guallpa (Student), Wilmer Rodriguez (Student).